Charles Martinet is an American actor and voice actor. He is best known for voicing Mario in the Super Mario video game series. 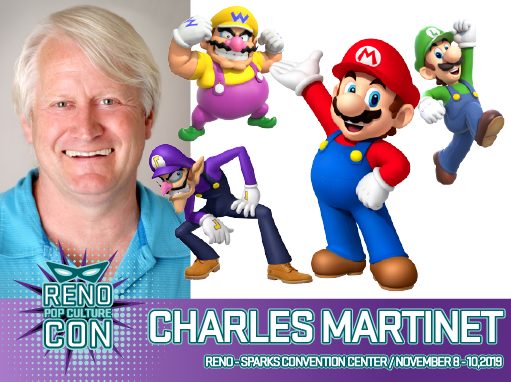 Martinet has voiced this title character of Nintendo's flagship video game franchise since 1990, and he also voices related characters such as Baby Mario, Luigi, Baby Luigi, Wario, Waluigi, and Toadsworth.